Last Friday, a group of five Year 12 students presented their work with the MBP2 project as part of the KM Bright Spark Awards ceremony. 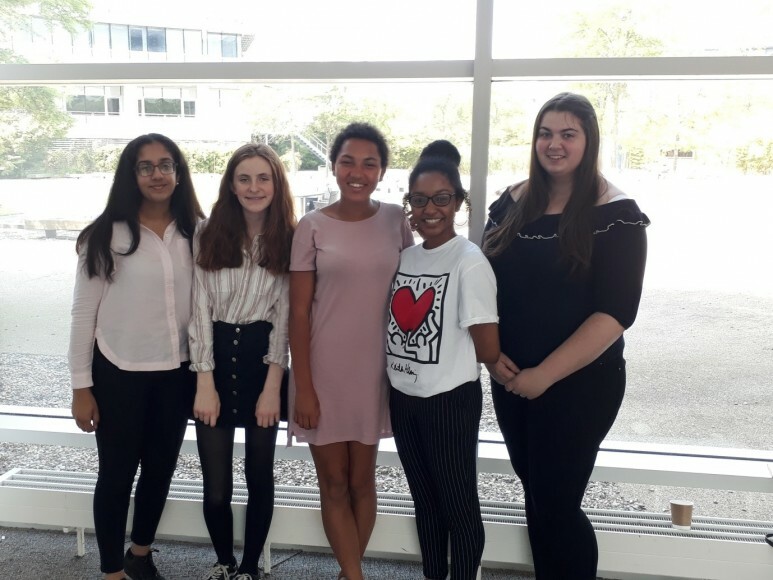 Millie Jerram and Khadija Babiker gave a two minute talk which presented the highlights of the research project and they were joined by Rabiah Singh, Rose Edgeworth and Lauryn Williams to then answer questions from four “Dragons” in a Dragons Den –style pitch. 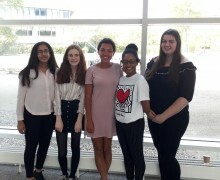 They performed brilliantly answering all of the questions confidently and accurately and they thoroughly enjoyed the opportunity to demonstrate their new-found expertise in biomedical research. As well as receiving a Bright Sparks Champion certificate, the girls also won an experience day from the Highways England dragon.